It’s been too long since I wrote a proper post about proper racing. There’s enough mission drift going on here to make the Leveson Inquiry look focused. Ascot has been and gone and all I managed was a passing reference. No hackneyed previews, no flawed betting strategies, no idle analysis. Symptomatic of a rammed, crammed and topsy-turver few weeks, I guess. I did catch a few chunks of the BBC’s Royal Ascot coverage. At least enough to despair at the normally dependable Clare Balding’s dewy-eyed reminiscences of her employers’ Ascot coverage over the years. I won’t be missing the Beeb’s fawning, time-warp coverage when its shift comes to an end later this year. The Derby build-up was excruciating in its focus on Balding’s emotions as her brother’s horse Bonfire lined up – barely registering the Camelot story until after the event - with Willie Carson struggling to articulate a single coherent thought. Mind you. I may regret those words. The thought of more Thommo buffoonery and Big Mac offensiveness on Channel 4 makes me slightly trepiditious. It was great to see Black Caviar win the Diamond Jubilee Stakes. I’m massively in favour of good quality international racing at the top fixtures, something that Royal Ascot has really grasped in the last few years. Huge respect to connections of this big, talented mare for putting her unbeaten record right on the line in front of media and public interest switched up to full beam. That she won in such dramatic fashion merely adds to the story, whether it be jockey error, punishing trip or a dip in form. This weekend’s fixtures are a notch or two down from that rarefied level. Today, I’m looking at the Tattersalls Millions (Newmarket, 2pm). Roger Varian, a trainer who has generally impressed me since he debut last season, runs Cameron Highland. He may be one to take on the short-odds favourite, Michelangelo with. Cameron was good on a sound surface when winning his maiden at Redcar (yes, God-forbid, I’m putting up a Redcar winner. What next, a Catterick tip? ), before a good effort on bad ground at Epsom. Mind you, the form of Michelangelo does leap out of the book. Maybe exacta territory as well? Mug it up, that’s what I say. Hoof It is on my season list, but that doesn’t mean he’s an automatic bet in the Criterion Stakes (Newmarket, 3.35) today. This is very much a prep for the July Cup after a disappointing reappearance in the Duke of York in May. The ground will be fine today, but the trip won’t. He’s never won over 7f whereas most of his rivals have. I like Firebeam, Libranno and Majestic Myles. This will be absolutely a price play. At 5-2 I’ll be involved. Anything lurching towards 2-1 and I’ll try my very hardest to avoid clicking the Betfair ‘confirm bet’ button. I’ve noted the gradual return to form of John Gosden’s Unex El Greco this season. I backed him in a handicap at the Derby meeting when he was slowly away and ran into mountains of trouble. The Fee Club Handicap (Newmarket, 4.40) on ground that will suit and over a trip that should be well in-scope looks like a nice opportunity. On first glance, nothing can win the Nortumberland Plate (3.20, Newcastle) on that ground and with those weights. On second glance, that impression still persists. But this is the Pitmen’s Derby, so I’d better have a bet. At each-way prices, Fahey’s Lexington Lad is taken to continue his upward profile at this trip and also show that his apparent liking for soft translates to heavy. Small stakes. The Irish Derby (The Curragh, 7.40) has a disappointing turnout, Camelot having frightened many away again. He’s one of three O’Brien runners in a benefit for this stable. Oxx runs two of the remaining four. One of whom is my list horse, Born To Sea. But even at 40-1 I’m not getting involved on the wrong ground and with only two places on offer. The trip might be OK in time, but it’s only 11 days since his Royal Ascot appearance. It’s a shame that Imperial Monarch has turned up here. I’ve liked him since his incredible solo extra-distance effort at Sandown on soft when nicking the race from Thought Worthy (a reasonable bench mark) who had taken the short route round the inside of the bend with the rest of the field. I think Monarch he has a good win or two in him. Whether he can beat Camelot today, I don’t know. Depending on the price, I’ll anticipate a small win bet. The place shout doesn’t appeal in a seven-runner race unless he drifts markedly. Enjoy the blog? Buy the new book! 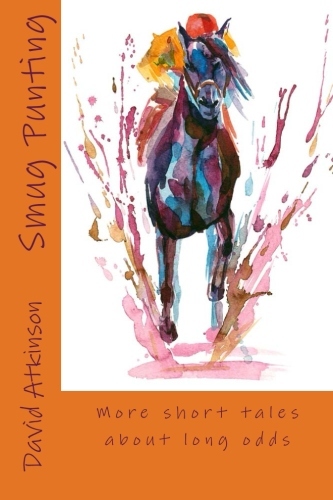 Smug Punting available now. Click the pic! Enjoy the blog? Read the early stories! 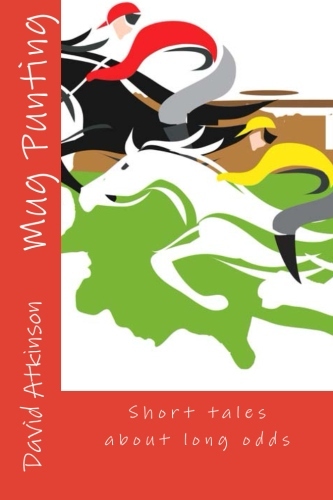 Mug Punting available now. Click the pic!